Hey guys how is your weekend and Palm Sunday? 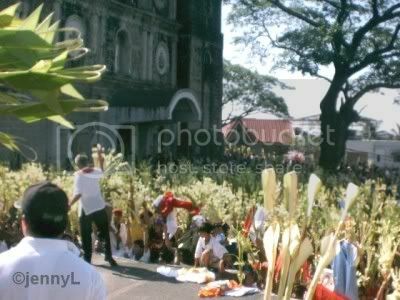 My family and I went to mass this morning bringing our "palaspas" (palm leaves/branches) and have it blessed. As a Catholic it was our tradition to go to mass during Palm Sunday, to commemorate the entry of Jesus in Jerusalem. With lots of people attending the mass, we can't even enter inside the church. Here are some photos that i took outside the church. 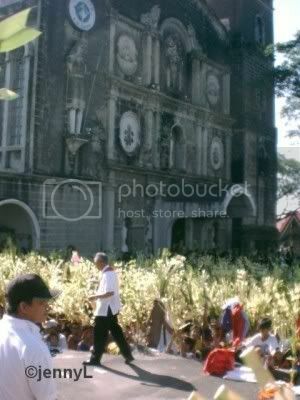 Look how many people where there to have their palaspas blessed with Holy water. Look at those palaspas being waved for Jesus. 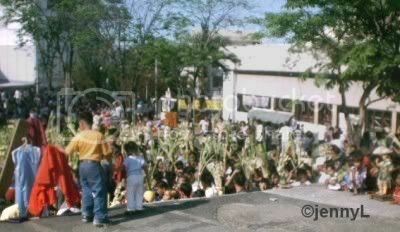 Starting tomorrow Holy Week will start already. I will update you with this tradition of ours.